We do not provide legal advice or representation but you can click here for information on where you find the help you need. Click here for information on how you or your firm can provide pro bono legal assistance. What exactly is pro bono? Click here to learn more. View this ‘how to’ and ‘best practice’ guide on establishing and operating a pro bono program within a law firm. Consult the Manual’s companion publication for practical information on what works well in collaborative pro bono projects, plus tips and case studies on how to attract pro bono partners and maintain effective partnerships. Biennial surveys of law firms with 50 or more lawyers. Latest report released February 2019. We release several research and practical guidance publications each year. See the archive here. Demonstrate your commitment to pro bono. Signatories endorse a Statement of Principles and aim to undertake at least 35 hours of pro bono legal services per lawyer per year. ExpertsDirect Pro Bono is a new service for pro bono lawyers and community lawyers. 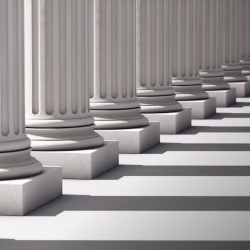 Are you an in-house corporate or government lawyer, or paralegal? You may be eligible for free professional indemnity insurance to work on pro bono projects approved by the Centre. Are you a pro bono practice or access to justice organisation? Our Directory lists over 30 law firms, their contact details and their pro bono practice areas. 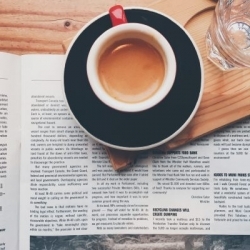 The April 2019 issue of Australian Pro Bono News, the Centre’s monthly newsletter providing stories and articles of interest to the Australian pro bono community, is now available online. We welcome your feedback, submissions and ideas for both Australian Pro Bono News and our website. For past issues, visit our newsletter Archive. 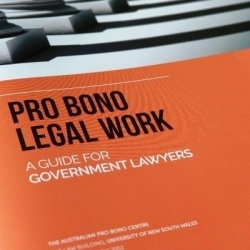 The Centre’s new publication, Pro Bono Legal Work – A Guide for Government Lawyers, is an essential guide for individual government lawyers seeking involvement in pro bono legal work and government legal teams looking to establish, refine or expand in-house pro bono legal programs. The Guide draws on the experience of government legal teams with existing pro bono policies and programs, and provides practical guidance to encourage and support government lawyers to pursue pro bono legal work. 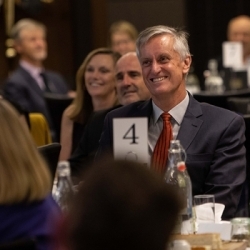 There is a growing dedication to, and maturity in, pro bono legal practice among the largest firms in Australia, according to the Report on the Sixth National Law Firm Pro Bono Survey — Australian firms with fifty or more lawyers released 18 February 2019. 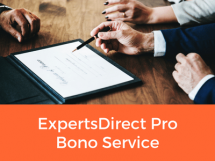 ExpertsDirect Pro Bono is a new service just launched for lawyers that aims to put them in touch with experts in a myriad of fields who are prepared to offer their services for free or at low cost in matters where the lawyer is acting on a pro bono basis. ExpertsDirect will be providing their services, including their Research, Case Management and Quality Assurance Teams, on a pro bono basis for participating pro bono law firms. See the full media release. 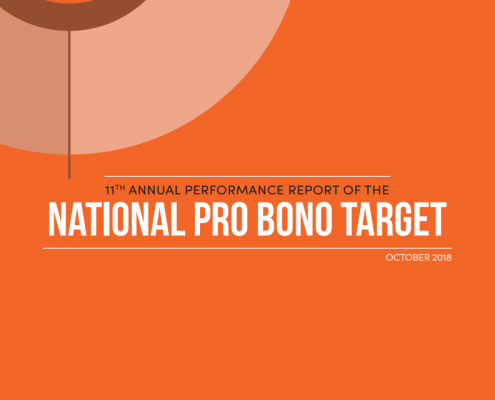 The 11th October 2018 marks the release of the 11th Annual Performance Report on the National Pro Bono Target. Please read the full report here. Happy National Pro Bono Day from some of our National Pro Bono Aspirational Target signatories! 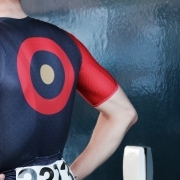 You can find more information on the Target and how to become a signatory here. 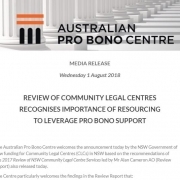 The Australian Pro Bono Centre welcomes the announcement today by the NSW Government of new funding for Community Legal Centres (CLCs) in NSW based on the recommendations of the 2017 Review of NSW Community Legal Centre Services led by Mr Alan Cameron AO (Review Report) also released today. The 6th Biennial National Law Firm Pro Bono Survey is also now open for submissions from Australian law firms with 50 or more full-time equivalent lawyers. Survey available here. Check out the latest edition of our Australian Pro Bono News for the latest case studies, reports, updates and more on pro bono and access to justice in Australia and around the world. This issue features highlights from Walks for Justice and other National Pro Bono Day activities. 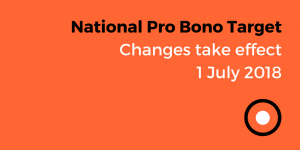 Brief yourself on the changes to the National Pro Bono Target here. We’ve just revised the Client Management and Self-Care Guide and you can download this, and view the accompanying role play videos, on this dedicated page. A great resource for your pro bono team! What does law firm pro bono look like? We acknowledge the traditional custodians of the land on which we work, the Bedegal people of the Eora Nation. We pay our respects to the Elders – past, present and emerging – and the youth who are working towards a brighter tomorrow. The Australian Pro Bono Centre is grateful for the support it receives from the Faculty of Law at UNSW Sydney, which includes the use of the Faculty’s premises and facilities. The Australian Pro Bono Centre is registered as a charity with the ACNC.